I am writing to share my complete heartfelt thanks to you and your family / team. From our very first contact right up to delivery and siting of our wonderful bench you have been nothing short of amazing people to deal with. 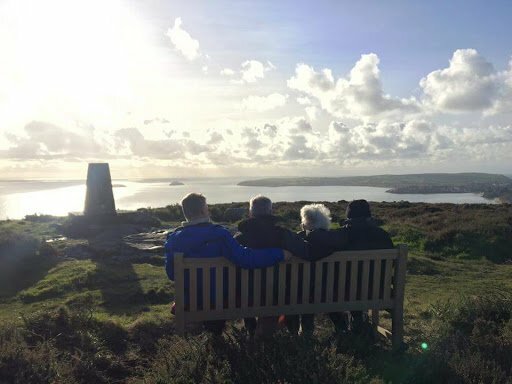 Our beautiful 19 year old son Thom died suddenly at home just one year ago on 8th April, the impact of this has been huge and we wanted something that would last our lifetime as a fitting tribute to our wonderful young man. I could not begin to express my gratitude for everything you have done to give us a permanent place to sit and remember our amazing son Thom. You have exceeded our wants, needs and expectations on every level and a simple “Thank You” doesn’t really seem adequate. 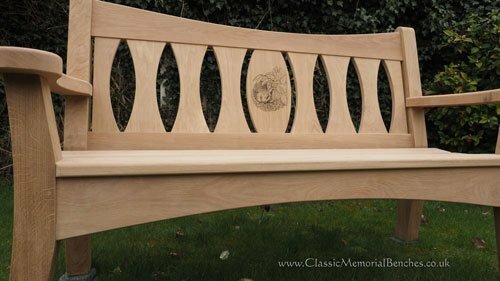 The quality of the bench, the fantastic workmanship and your attention to caring for us and our requests not just as customers but as people far more important to you has been humbling. 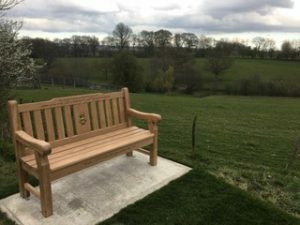 Thoms bench is now in place on the village green with views of the valley behind, it sits where Thom and I spent so many happy hours together and people have already commented on what a beautiful bench it is and has caused much emotion amongst friends, family and now new acquaintances on the green. 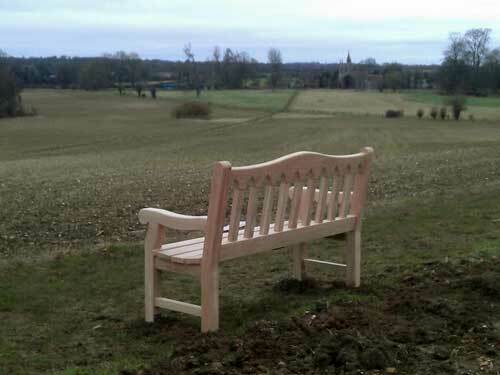 The bench has been installed in a very nice position in Blenheim park. 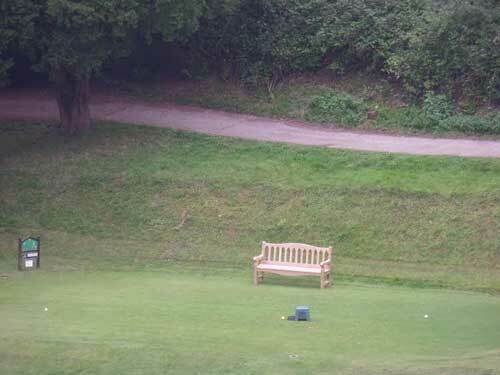 I have only managed to see it from a distance as, would you believe people were sitting on it!!!! !, but other members of my family have been able to get a close up and we are very pleased with it. Thank you very much. I and the family are delighted with the new bench, Craig did a great job on the installation and all went well, even the vicar is pleased. We have had lots of lovely comments, as did Craig on the day of installation, I think many people stopped him during the process as they passed by. 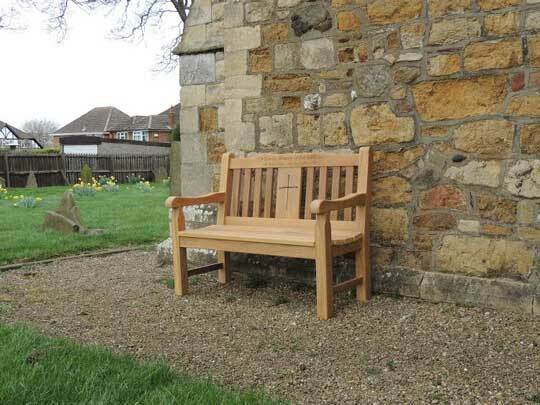 It is in a lovely sunny position and a very prominent place in the new part of the churchyard. 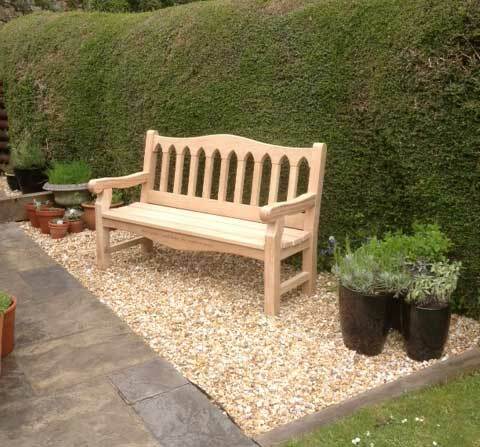 “Just a quick message to say a Massive Thank you for the bench which you supplied to my specification …Spot on !!! “My wife and I have just taken a look at the bench again and we truly are grateful for such a wonderful piece of furniture. All too often nowadays you pay for something that ultimately does not meet expectations and you go away feeling disappointed and frustrated. The bench has surpassed out expectations and this experience has restored our faith that there remains professionals out there who do actually deliver on their promises. 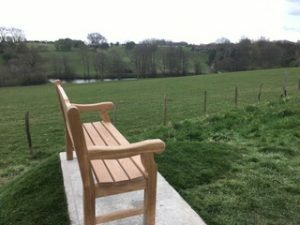 “I felt I had to write to you to tell you how pleased we are with the bench that was installed on Shalford Common in memorial of our parents (in laws). The quality of the wood and the workmanship of the construction of the bench is excellent in particular the finish of the wood the jointing and the attention to detail. It was a pleasure to meet Craig who did a great job fixing the bench to the ground where we wanted it. 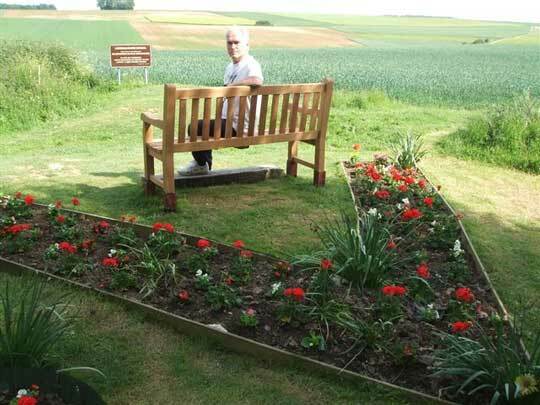 He clearly takes great pride in his work which we felt was extra special as he told us that he also built the bench as well as installing it. 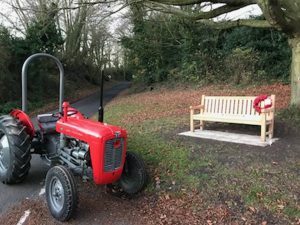 You delivered the bench when you said you would and we were kept well informed of the process and the arrangements for installation by Katie. 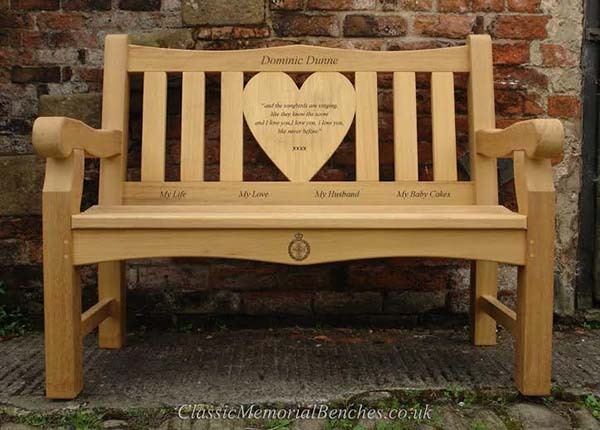 So, finally your English Oak Memorial Bench…. 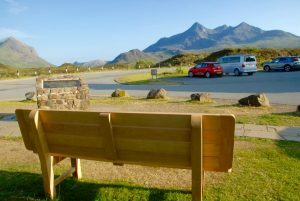 has been installed at the Sligachan Hotel, Isle of Skye……as you can see the views are fantastic…many thanks. 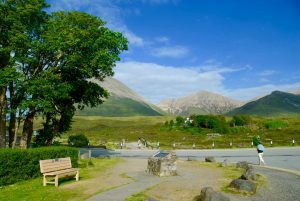 The bench is quite magnificent !! 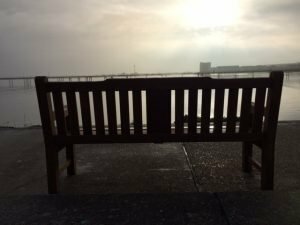 “I just wanted you to know that I was delighted when I saw the two benches. They were both such sturdy and yet beautiful pieces of furniture and the engraving really finished them off properly. 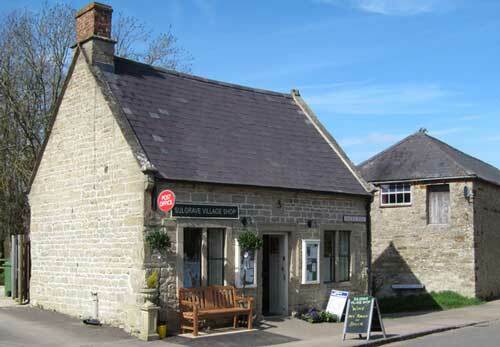 Thank you so much – they were definitely worth the wait and the way you both dealt with us throughout was just fantastic – really appreciated your calm and nothing too much trouble approach – made buying them a delight. I will definitely recommend you for anything such high quality again. 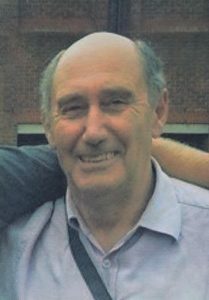 Roger Garrett who was not only our postman, but also our neighbour and friend, and is very much missed. 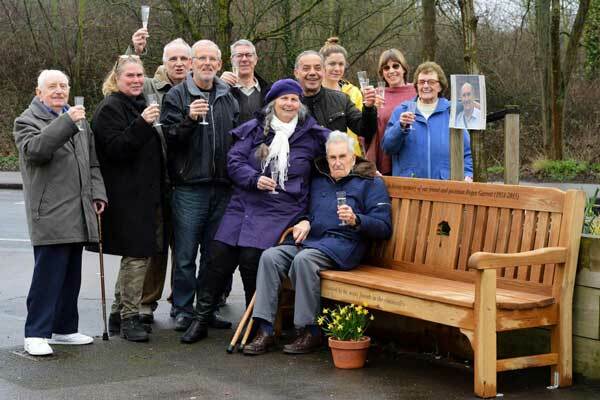 On what would have been Roger’s birthday, this bench hand-crafted from solid oak by Classic Memorial Benches was dedicated to his memory by his local community in a moving ceremony. At last everything is done and dusted and the bench in place. It is and looks absolutely brilliant, and the comments have been 110% . Thank you from us all for such dedicated and superb workmanship and being such lovely caring people to have met and dealt with at such a sad time. We will highly recommend you whenever asked. 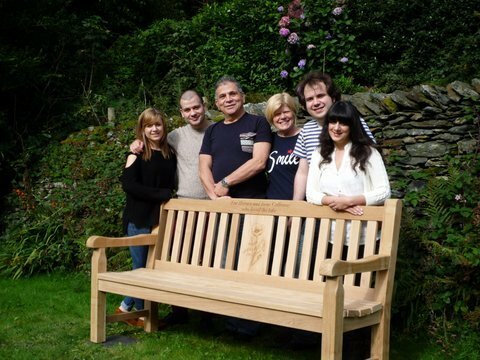 We cannot thank you and your team enough for the work that has clearly gone into creating Dad’s memorial bench. 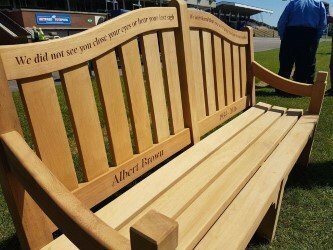 The response from all our family and friends was overwhelming when we presented the bench to Haydock Park racecourse which was Dad’s favourite race track. Everybody is extremely impressed with the superb craftsmanship. 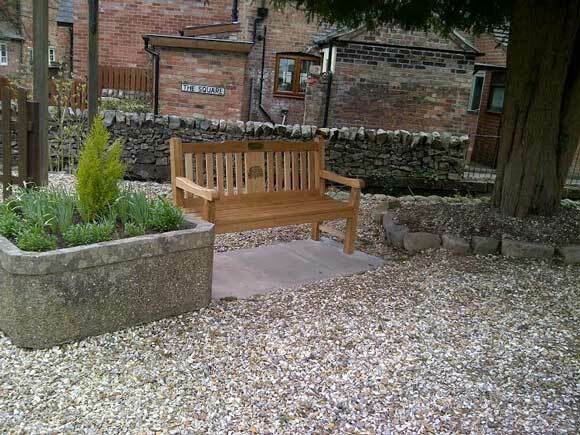 I have attached a couple of pictures, one of the bench in situ and one with Mum and her four siblings. I wouldn’t hesitate recommending you as your workmanship and customer service throughout has been exemplary. 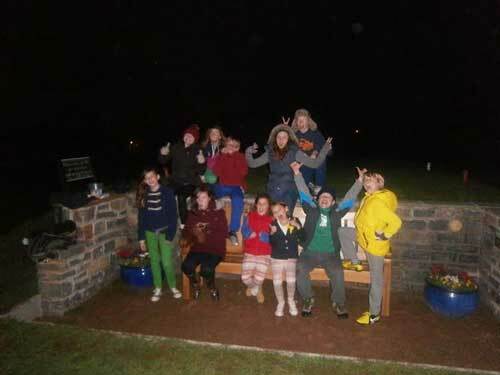 “We are all thrilled with the result – see attached picture. Bench arrived about 1/2 hour ago, it was like Christmas morning for me unwrapping it! I am so so pleased with it in fact I am having a coffee on it right now as I write this and thinking of our dear loved ones no longer by our side but living on through us always,thank you it is wonderful. WHAT A GREAT JOB YOU HAVE DONE. And thanks for the maintenance recommendations. Just to let you know how truly delighted I am with the beautiful bench. Was it Craig that delivered it? What a truly lovely gentleman. I absolutely love the bench. There are no words to describe how happy and grateful I am that there are such wonderful carpenters around. 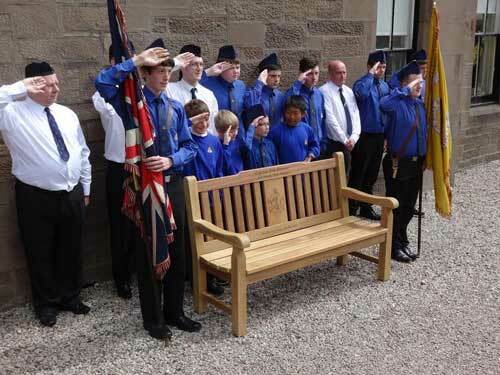 The work you and the team did to make that bench is outstanding. You did me and Nan very proud. Thank you very, very much. Truly stunning. 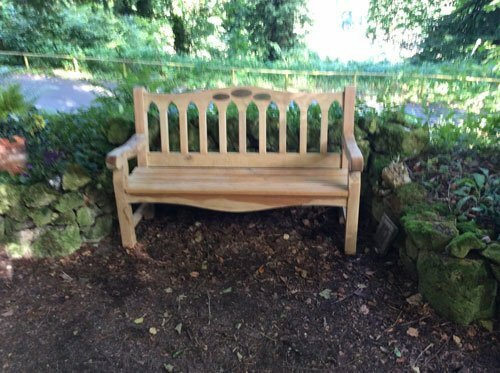 The beautiful bench is in & we are so over the moon with it! As promised, see attached some photos we’ve taken & if you want to use a testimonial for the website or anything I’m happy for you to do so. The design is carved 5mm deep into the wood and inlaid with colour resin. It is fabulous and you have made it exactly how I wanted it. 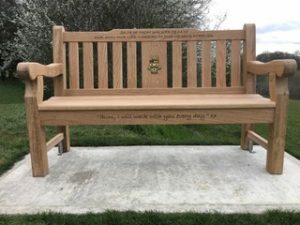 We would like to thank you for all your patience and understanding in this difficult time and the wonderful craftsmanship into making Wayne’s memorial bench. We cannot express how delighted we are with it. 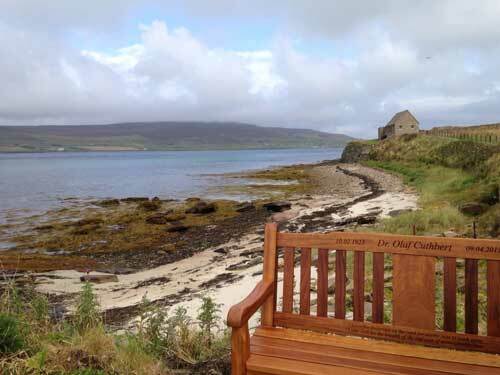 We have placed the bench at Prinknash Abbey a place Wayne liked to visit with his grandmother when he was small. To Steve, Katie, Craig and everyone at Classic Memorial Benches. It’s the most perfect tribute to a wonderful, inspiring man – a mixture of strength, reliability, love and humour that reflects his personality so brilliantly. Thank you all for being patient with us sorting out the details, and for your kindness, help and brilliant customer service at every stage. I shall recommend you to everyone everywhere – such a joyful experience despite the sadness of the loss. 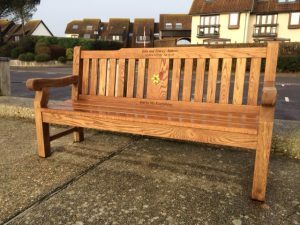 “Further to our telephone conversation, I just wanted to put something in writing about how pleased I am with the bench that you did in memory of my husband Dominic. I can’t tell you how pleased I am with it. It really is a testament to your brilliant workmanship. It is even better than I had hoped it would be – and my expectations were very high haha. Yourself, Katie and Craig have been so helpful in every way to me. Nothing was a problem and the order and delivery went through so smoothly – all thanks to your professionalism. So thank you once again, I shall recommend you to everyone! 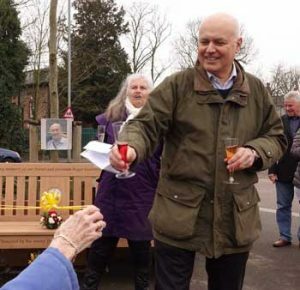 And I look forward to sitting on the bench on many occasions in the future enjoying Dominic’s favourite “a cup of tea”. 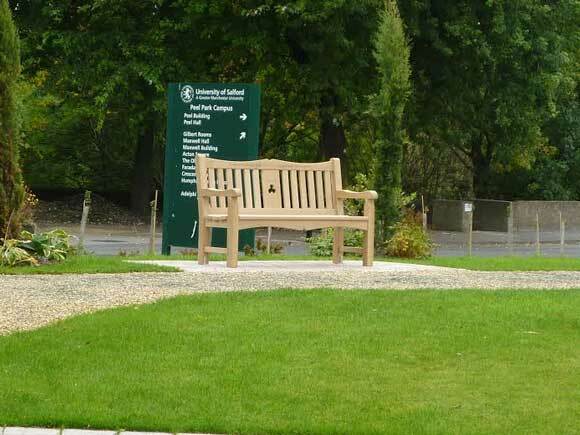 The beautiful bench which you carved In memory of Joe and Mary Healey is sitting very proudly at the side of the Bowling Green In Waddington, what a lovely job you have made of it. My brother Aidan and his wife Sheila I believe negotiated the deal with you, they have done all the family proud, well you have making it. The delivery timing was excellent (and what a nice fellow Craig is) and the bench is fantastic. I’m sure my siblings will be very pleased with it, and I know it will attract many admirers when I get it on the bowling green and the season begins. 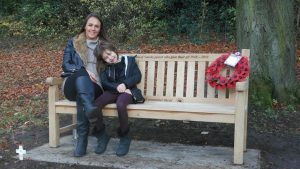 “Thank you so very much for making the memorial bench for Emma so special. 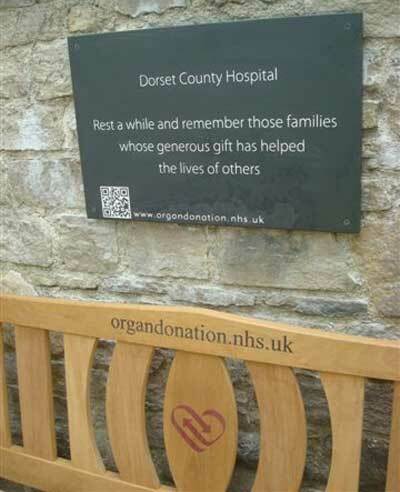 It is now in place in the churchyard and has been much admired.Tears and smiles. 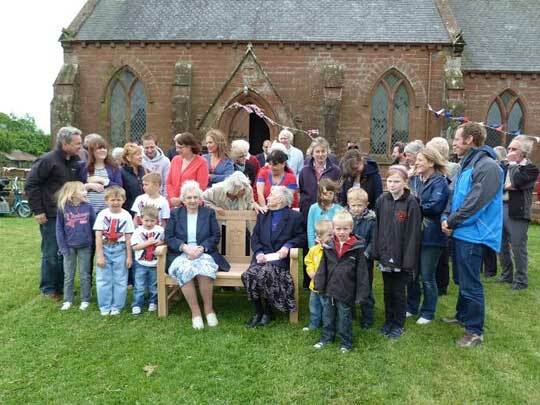 “The bench was dedicated at the Sunday Service at Inverbervie Church and got rave reviews by everyone concerned, Bob’s family were particularly impressed.” R.E. 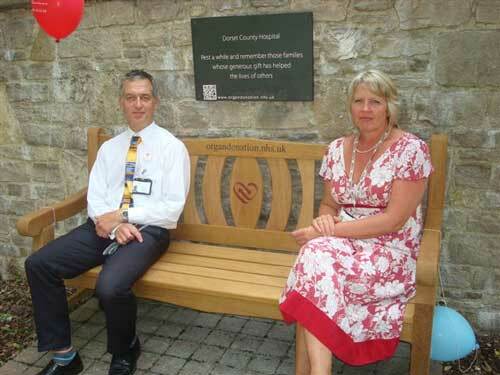 “I am absolutely delighted with the bench, it is beautiful. Everyone that has seen it so far has been deeply moved and there have been quite a few tears. “I called in past the depot this morning and I just wanted to let you know how delighted I am. It’s fantastic and the quality is amazing. I was initially concerned about the difference in the colour of the top-rail but once I have seen it .. I think it enhances the overall colour and looks perfect . Thank you and your team so much for the great workmanship and service. “On Saturday afternoon at about 4.30, I returned from a warm, sunny bike ride and sat on the seat for the first time. I was there for at least twenty minutes (wishing the shop was open for an ice cream), during which time one car and no people passed by! 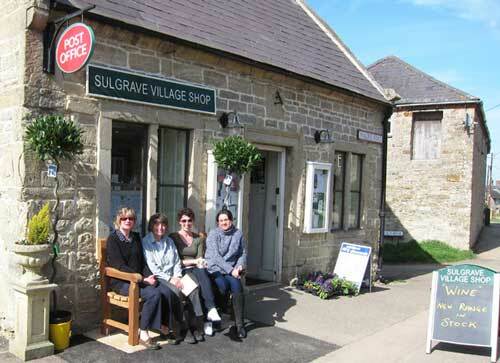 It was like going back in time – nothing to be heard except the buzz of the bees.” Colin – Sulgrave Village Shop. 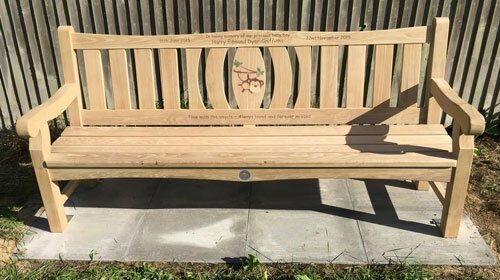 Many thanks for making such a beautiful bench – everyone who’s seen it says so, including the staff at Salford. – Duncan – University of Salford. 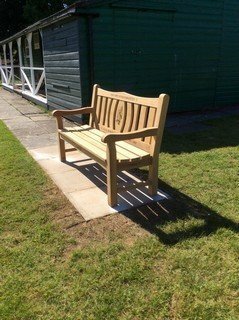 Dear Steve, I’ve just been over to the golf club to see the bench I must say a huge Thank You it beautifully made and I’m over the moon with it. It wont be going outside until we get the base sorted out and make it safe and sound. 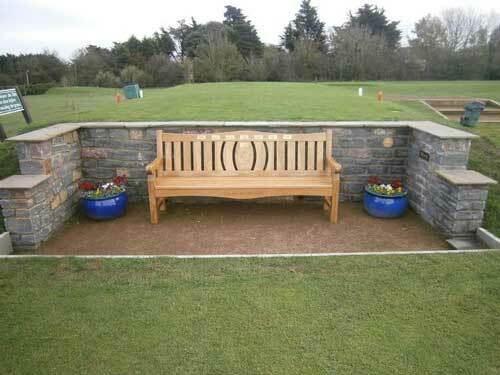 Barry and Mark at the golf club said its the best bench they have on the course. – Pauline. 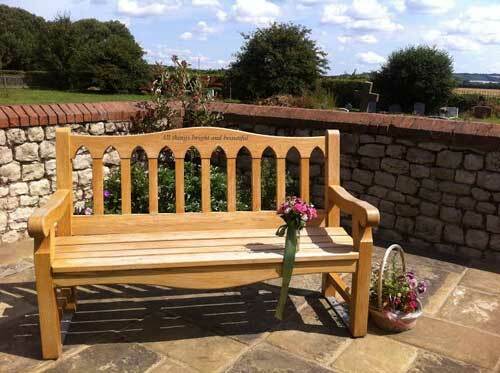 “Steve, Memorial bench arrived safely today. I was absolutely delighted with it. The craftsmanship and finish is superb, a real credit to your staff. Everyone who has seen it has commented on how beautiful it looks and I am sure it will be much appreciated by the visitors to Brigham cemetary where it is to be sited. Please pass on my sincere thanks to your craftsmen. many thanks” – S.C.
“We just wanted to say how very thrilled we are with our new Classic III bench. It looks great at the end of the garden and the shapes in the back echo the arches in the top of our Water Tower perfectly. Thank you very much” – Nicola. 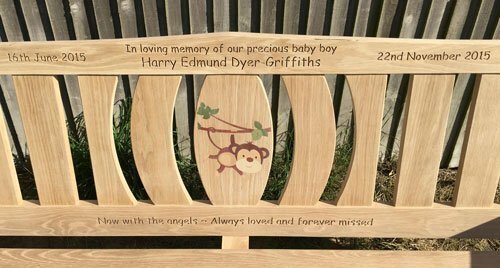 “Just a quick note to say thank you again for making such a beautiful bench , I’ve attached a photo of it in the cemetery. 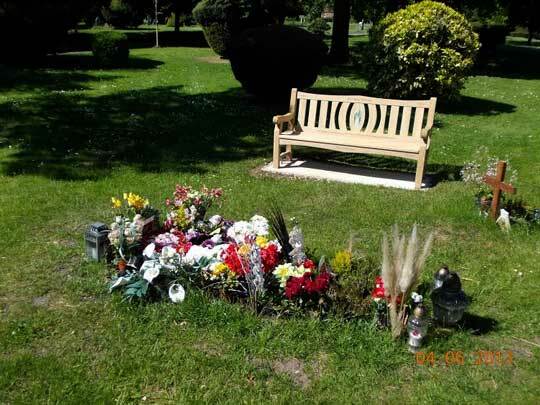 We have a nice spot in the cemetery for my wonderful wife and the bench is just perfect there.” – Adam. been installed and looks absolutely lovely. The craftmaship is superb.” – Helen. “I am just writing to say thank you for the excellent service I received from you. 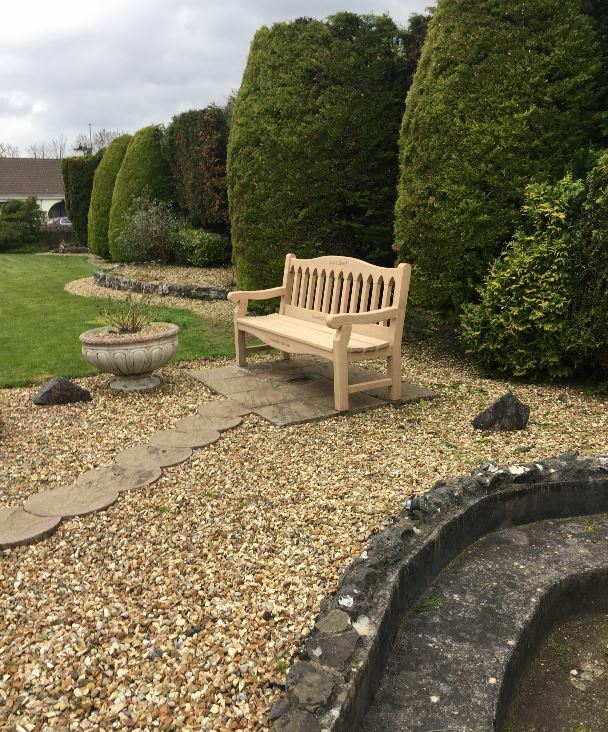 Nobody could have provided a more efficient service and the bench is absolutely beautiful. 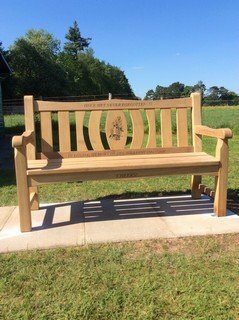 Lots of people commented on how nice it was when we had the opening of a water feature (as a memorial to my husband at the Power station where he worked),the bench has been placed near to it.Thanks once again” L.C. (Lincs). 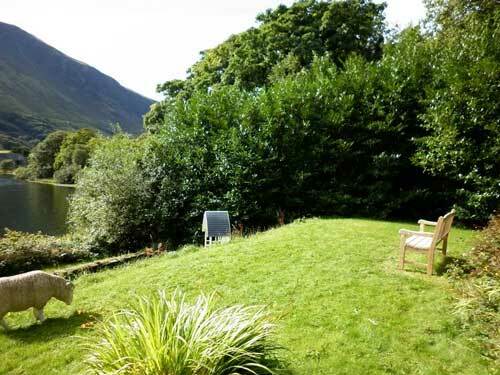 Ann Boran, The Old Rectory on the lake, Gwynedd. 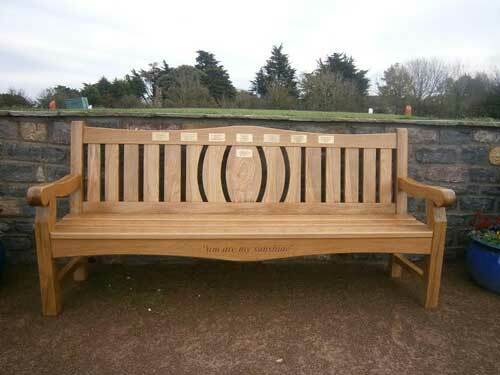 I absolutley love the bench, thank you so much to everyone involved, Its perfect. 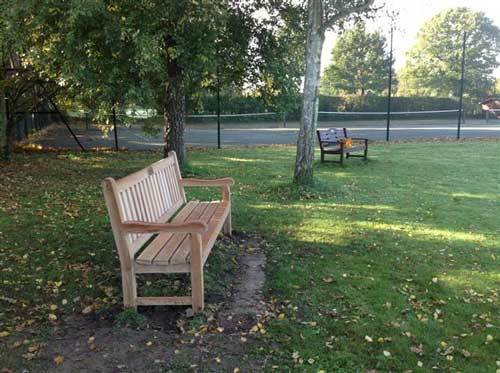 When we have the bench placed shall send you a photo.. Thank you katie so much you have been such a big help. 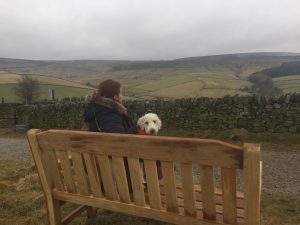 “The arrival time was brilliant, just before people were arriving for the Good Friday service, and that included the person who is paying for this in memory of his wife. 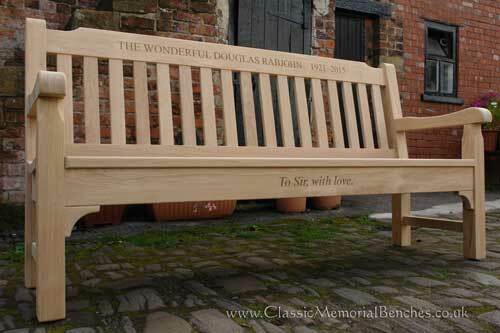 He was really pleased with the bench, and there have been many other very favourable comments. It will look absolutely brilliant when in situ. In fact it looks brilliant now, as it waits in our church hall, which is great as so many people are getting to see it properly. 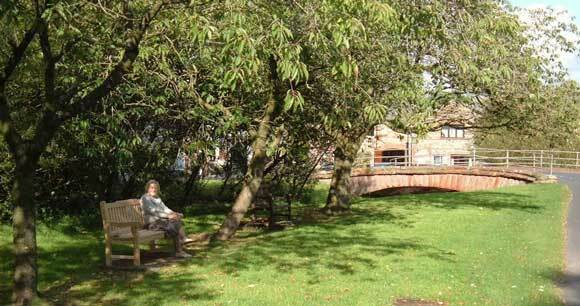 I did leave a phone message on Monday to say how delighted I am with the superb sunshine bench you’ve created. but I thought I’d put my thanks in writing too! The craftsmanship is really superb and the oak is simply beautiful. I love the quality and attention to detail and the engraving wonderfully precise and spot on. The men who delivered it were very helpful and most impressed with how solid and impressive it is.